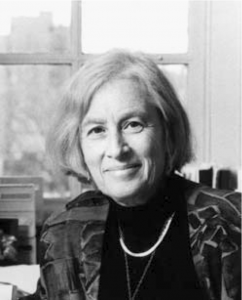 The work of Barbara Starfield has been an inspiration for practice improvement. Her studies demonstrate that the to key to improving the health of our communities is the better provision of primary care. Therefore it is with sadness that we report that she died suddenly from an apparent heart attack this week, aged 78. Primary care deals with most health problems for most people most of the time. Its priorities are to be accessible as health needs arise; to focus on individuals over the long term; to offer comprehensive care for all common problems; and to coordinate services when care from elsewhere is needed. There is lots of evidence that a good relationship with a freely chosen primary-care doctor, preferably over several years, is associated with better care, more appropriate care, better health, and much lower health costs. In contrast, little is known about most of the benefits of specialty care, although we do know that the greater the supply of specialists, the greater the rates of visits to specialists. We also know that when specialists care for problems outside their main area of expertise, the results are not as good as with primary care. Since most people with health problems have more than one ailment, it makes sense to have a primary-care practitioner who can help decide when specialist care is appropriate. I remember going to a presentation by her in America where she put up a slide demonstrating the evidence behind the benefits of specialist medical care. The slide was blank.